To control the quality of our students, our school adopts the Royal Academy of Dance’s Examination Syllabus which gives marks and results to students. All students, except those who learn the Pre-School Dance Curriculum, Demonstration Class and Pre-Primary syllabus, will study for the Examination Syllabus’ examinations instead of the Demonstration Class and Presentation Class Syllabus’. Students will be entered for the examinations of the Australian Teachers of Dancing (ATOD) or Commonwealth Society of Teachers of Dancing (CSTD) according to their needs. Students will be entered for the examinations of the National Association of Teachers of Dancing (NATD) according to their needs. 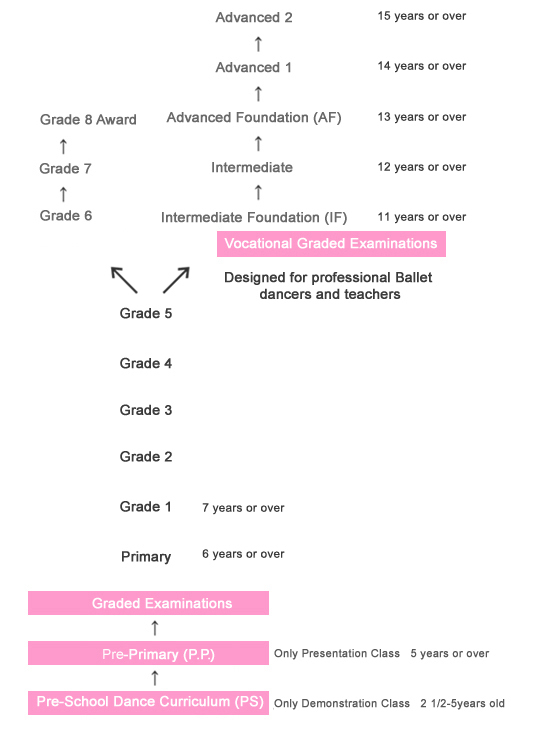 The Pre-School Dance Curriculum and the General Graded Examinations are held from May to June whereas the Vocational Graded Examinations are held from September to December. 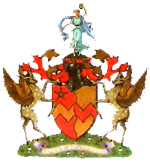 Students (except those who take the Pre-School Dance Curriculum) who take the examinations of the Royal Academy of Dance have to attend two lessons per week. Those who fail to meet this requirement will not be allowed to take the examinations in that year.